After a cooling of sales late last summer and early fall, a very robust set of buyers have turned the heat up. As a result, the inventory of available homes continues to slowly drop with only 129 homes on the market. This is a significant market shift compared to 2011, when an average of 155 to 165 site-built homes were commonly available. At present, there are now 55 site built homes in escrow. This too represents a significant upward swing of the market. 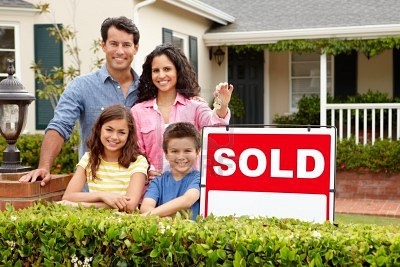 1) Cheap home prices are one of the main drivers of the local and national housing markets. Locally, 20 site-built homes have sold for under $100,000. The majority of these sales were foreclosures and were purchased with cash. Another very popular price range is now $120,000 to $139,999 where 12 homes sold. Buyers are continually seeking out the best, low-priced deals. 2) Historically low mortgage rates are the second driver of the present market boom. Interest rates continue to hover below 4%. 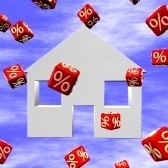 Some buyers are locking in their rate at 3.75%, a rate unheard of in times past. However, it is yet to be seen what FHA’s new requirements of a 1.25% monthly mortgage insurance rate will do to the present hunger for a home purchase with an FHA loan. 3) Foreclosed homes continue to make up about 15% of the active homes on the market, while about 37% of homes sold in the first quarter were foreclosures. These figures are actually quite healthy for the local market. It shows we are not experiencing a glut of distressed properties coming on the market all at one time. At the same time a very balanced number continues to be sold each month. 4) The median home price dropped down to a first-quarter average of $141,500. Ridgecrest has seen it as high as $185,950, and as low as $134,900 over the past 12 months. 5) The average days a home stays on the market is now 179 days. This is a slight uptick with the past 12 month average of 160 days and March’s average of 161 days. If these trends continue they just may be the jolt that Ridgecrest finally needs to recover and experience a turnaround in values. For more about housing market trends in Ridgecrest, California, give me a call Clint Freeman at (760) 382-1082 and let’s talk directly!